Expired 1mo ago . Last validated 1mo ago . Used 5 times. georgina I am validating that this deal work as described. 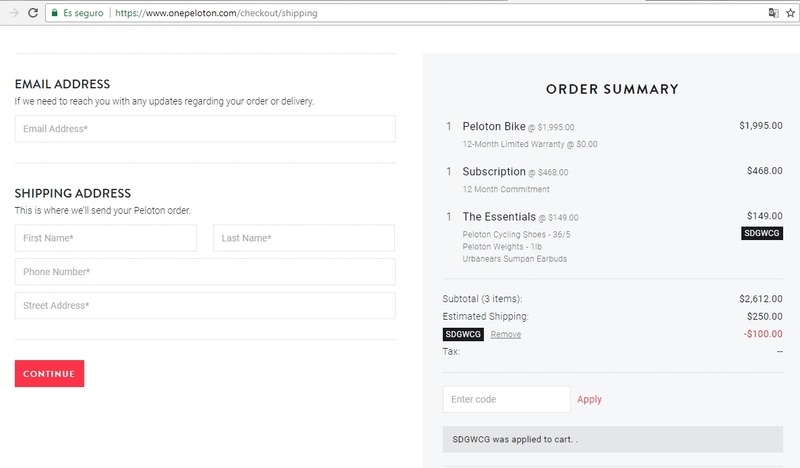 Enter code and get $100 Off Any Bike Accessories Purchased With Bike Purchase at Peloton Cycle. This is a limited time offer.